The National Voice Of America Museum Of Broadcasting is preparing for the 75th anniversary of the VOA, which started broadcasting Feb. 1, 1942 as part of the Office of War Information. 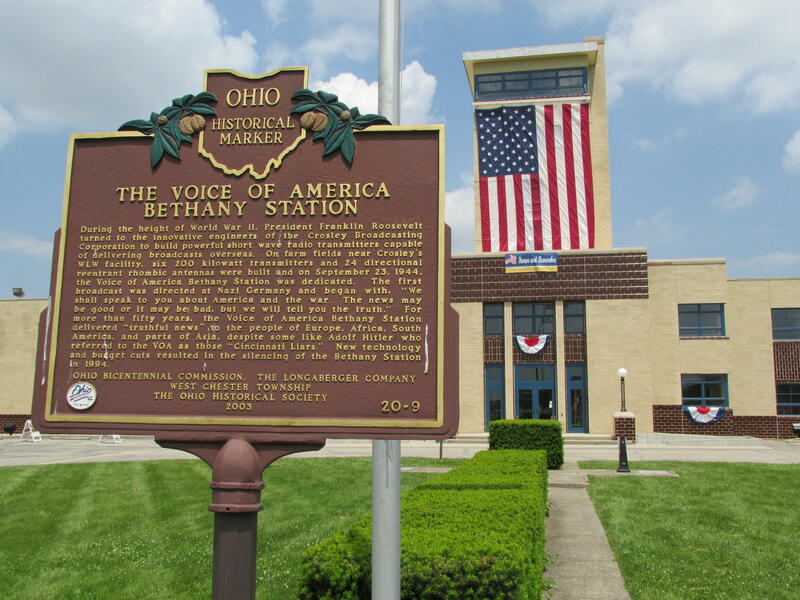 “We’re planning a series of events and exhibits this year to celebrate the VOA’s commitment across America and the world to embrace best practices in telling the truth in order to let the world decide,” said Jack Dominic, executive director of the museum at the former VOA Bethany Station, 8070 Tylersville Road, West Chester Township. One of the first events will be a "Truth Matters, Facts Matter" panel discussion by members of the Greater Cincinnati Society of Professional Journalists March 23 in the museum's Clyde Haehnle Hall. The Voice of America was formed in 1942, during World War II, to counter Nazi propaganda in Germany and provide war news to American troops and Allies overseas. The VOA entrance and conference room. Staffers from Cincinnati's WLWO – WLW-AM's sister shortwave transmitter broadcasting to Europe and Latin America—attended the inaugural VOA broadcast from New York City studios in Feb. 23, 1942. The Bethany station was operational by summer of 1944, and decommissioned in 1994. The museum's monthly opening to the public is this Saturday, Feb. 18, from 1-4 p.m. Dominic says "nothing special for the 75th" is on display yet, but visitors can see three collections: The VOA-Bethany station’s control room; Media Heritage's Cincinnati Museum of Broadcast History; and the Gray History of Wireless antique radios. The West Chester Amateur Radio Association also operates station WC8VOA in the building. 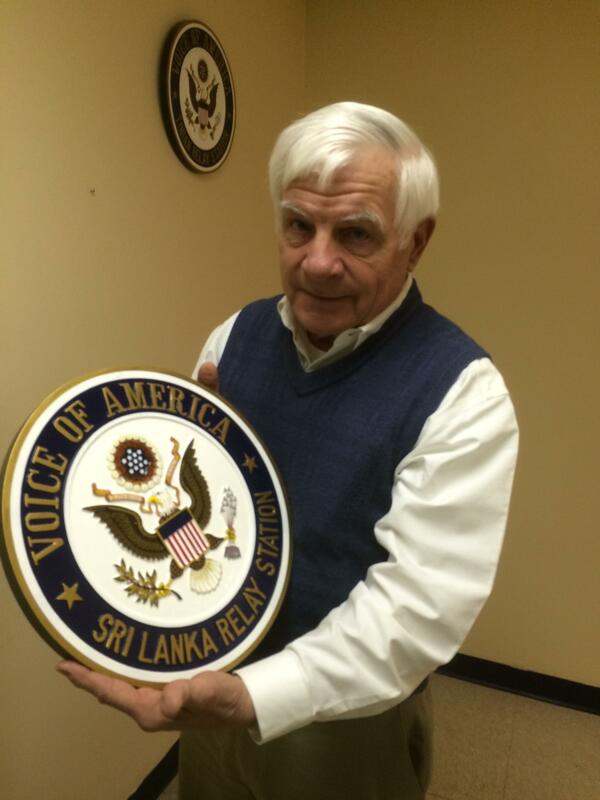 Jack Dominic holds a replica seal for the VOA's Sri Lanka station. Plans call for a new entrance and large exhibit hall on the east side of the art deco VOA building, as funding becomes available, Dominic says. VOA Museum memberships are available for $50 a year, which provides free admission for the member, an adult guest, and up to three children under 12. Members also receive updates and advance information about new exhibits and programs. For $250, members receive the benefits above, plus a 50 percent discount on all lectures, programs or visiting exhibit tickets. Reservations for the SPJ's "Truth Matters, Facts Matter" panel discussion at 7 p.m. March 23 can be made can be made by calling 513-777-0027. Tom McKee, WCPO-TV reporter and SPJ chapter president, will moderate the discussion by WVXU-FM politics reporter Howard Wilkinson, Enquirer associate opinion editor Kevin Aldridge, University of Cincinnati associate professor and former TV reporter Hagit Limor, and Dayton Daily News politics reporter Anthony Shoemaker. They will discuss "how to tell the difference between real and fake news, what standards editors use to determine facts, and the importance of a free press in a democracy," according to the VOA Museum announcement. Admission is $10, payable at the door. 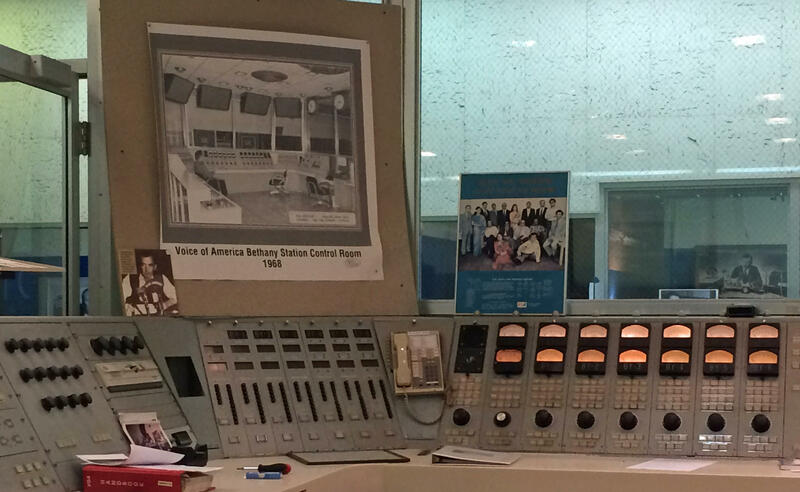 Veteran broadcasting engineer and executive Clyde Haehnle will be honored Friday when the National Voice of America Museum of Broadcasting names its new meeting and exhibit space Clyde Haehnle Hall. 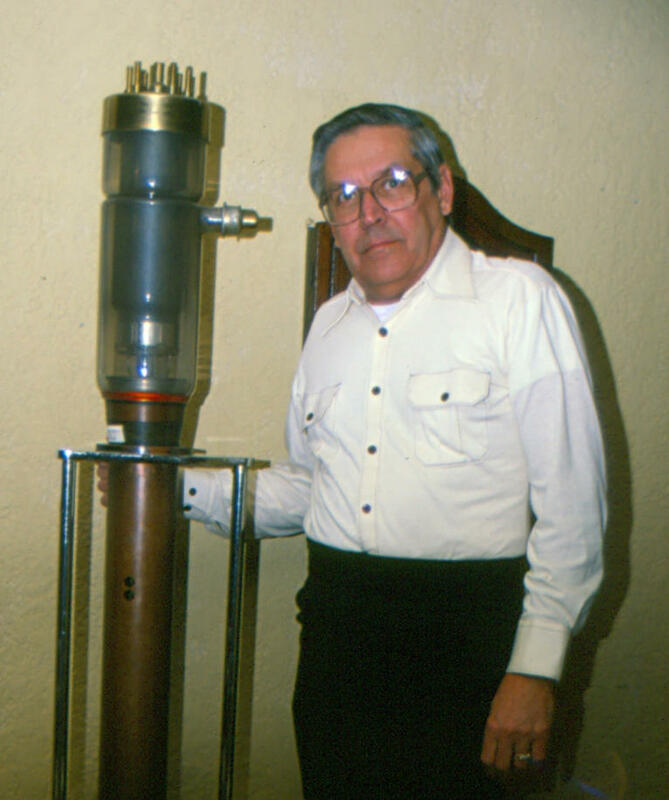 Haehnle, 93, a VOA Museum board member, has been a huge supporter of the museum effort at the VOA's Bethany Relay Station, where he worked as a University of Cincinnati electrical engineering co-op for Crosley Broadcasting. Crosley built the facility in 1942-44 during World War II. With WNKU-FM soon to be sold and silenced, Cincinnati Public Radio will add a national adult album alternative (Triple-A) format broadcast on 91.7 WVXU-HD2 and streamed on wvxu.org starting 10 a.m. Friday. "WNKU has provided an invaluable service to its listeners and to the local music community it serves and it will be missed," said Richard Eiswerth, Cincinnati Public Radio general manager and CEO. "With the loss of the Triple-A format at WNKU-FM, we see that as a vacuum that – in order to fulfill our mission —we should step in and do our best to serve."